Many people are confounded by the complexity of Medicaid. The truth is, Medicaid is quite simple. It’s a set of rules, exceptions and exceptions to the exceptions, but all are founded on four basic principles. First, understanding the rules, second, determining if the client meets the eligibility requirements, or if there’s an excess amount to “spend down”, third, determining the spend down method and fourth, implementing the funding plan. Understanding the rules really comes down to these basic concepts. The difference between the institutional spouse and the community spouse, the income allowances (minimum monthly maintenance needs allowance a/k/a MMMNA), the community spouse resource allowance (CSRA), the look-back period, the monthly divisor, spend down, the penalty period, compensated transfers, uncompensated transfers and all the allowances and exemptions. The exemptions include protections of your principle residence, for a spouse or disabled or minor child, an automobile, a prepaid funeral and life insurance up to $1,500. All Medicaid determinations are based on these concepts. Once you have a clear understanding of the application of the rules regarding these key terms it will determine whether an individual is Medicaid eligible. The second principle determining whether the client meets qualifying conditions (That is, are they citizens and a resident of the state? ), are broken down into three parts; legal, health and financial. Do they need care that is covered by Medicaid, and do they meet the income and asset limitations? If the client does not meet the legal or health criteria they will not qualify. If they exceed the financial limitation, they must “spend down” their income or assets to the qualifying levels. The third principle, the method of spending down can have two results: One leads to a penalty and ineligibility for Medicaid (“uncompensated transfer”) and the other type of spend down does not (“compensated transfer”). Qualified (“compensated”) spend downs will not penalize the applicant as they are deemed to be exempted transfers under the law. Such an example of a qualified spend down would be the Medicaid applicant making an improvement on their principle residence, or purchasing a car, a prepaid funeral or paying off debts. Uncompensated transfers are when an individual gives assets away and receives nothing, or less than what was given, in return. In these circumstances, the individual will be penalized and made ineligible for Medicaid depending upon the uncompensated amount given away and the monthly divisor in the community in which they live. What’s critically important to understand is a penalty assessed for an uncompensated transfer can far exceed 60 months and doing an uncompensated transfer does not disqualify your for 60 months. Other methodologies to spend down include the use of annuities, Special Needs Trust, Personal Services Contracts, trusts “solely for the benefit of your spouse, or disabled or minor child, or promissory notes. A combination of these spend down methods may be utilized in qualifying a client. Finally, once you have applied the rules, utilized the exemptions and completed your spend down strategy, none of it is effective without a funding plan. Unlike traditional estate planning where funding could get “cleaned up” after death by a pour over will, in Medicaid planning, none of the penalties or planning is effective until the funding has been completed. It is absolutely critical that you have a complete funding strategy in place once you create the plan to ensure the plan you create is actually going to work. Did you even think Medicaid could be explained in less than 350 words? You just read it and it’s not as complicated when you have a structure, such as outlined here, to apply to each case. I will be rolling out such a structure with National Veterans Benefits Expert, Victoria Collier, on April 30th and May 1st in Atlanta, Georgia. For information click here. Hope to see you there! Wartime veterans (or their widows) may receive tax free income to help offset the cost of long term care. The benefit, Improved Pension, commonly referred to as Aid and Attendance, is a means tested benefit wherein the claimant must meet both income and asset limitations. The asset limitation is not a bright line figure, however, a standard guide is that if the claimant has more than $80,000 of countable assets (the home, cars, and personal property are exempt), the claim will be denied. Thus, often the veteran will seek counsel from a qualified attorney to assist with asset preservation and qualification for benefits. A problem with reduction of assets may arise when the veteran has a large retirement account. Unlike other investments or cash account, retirement accounts cannot be liquidated without incurring a sizable income tax consequence. Can the IRA be converted to a SPIA? Historically, in this situation, the recommendation was to roll either a portion of or the entire retirement account into a single premium immediate annuity (SPIA). SPIAs create an income stream based on the insured’s life expectancy, thereby eliminating the cash value of the investment. Given there was no cash value, then that automatically reduced the net worth of the claimant, bringing the assets below the permissible limits. (1) if you have pending claims with SPIAs that ultimately become denied, then appeal. (b) use a SPIA but caution your client of the probability of a denial and the likelihood of an appeal. Victoria L. Collier, Certified Elder Law Attorney, Fellow of the National Academy of Elder Law Attorneys, Co-Founder, Lawyers with Purpose, LLC, and author of 47 Secret Veterans’ Benefits for Seniors…Benefits You Have Earned but Don’t Know About. The VA Reaches Out To Funeral Directors - Shouldn't You? Would you like to enrich your relationship with funeral directors? As estate planning and elder care attorneys, we are often called upon to provide our clients with guidance around planning for death. Veterans may have more options available to them than non-veterans. In addition to being buried with honors or placed into a national cemetery, there may be monetary benefits available to surviving family members. The VA recognizes “Veterans and their families need compassion when they approach funeral directors for help.” (quote from Secretary of the VA Eric K. Shinseki). Thus, the VA has developed an entire website providing resources to funeral directors. The site, http://www.cem.va.gov/cem/funeraldirector.asp, can be very useful for the estate planning and elder care attorney as well. Moreover, many funeral homes and their directors may not be aware of this new site. This is your opportunity to create or further develop your relationship with funeral directors. By bringing this information and the website to their attention, you are providing value to their business. It can also be used as an introduction to you and the services your firm provides. What would be a simple process to develop this relationship and market to funeral directors? First, draft a letter of introduction to the funeral director. Attach to your letter a screenshot of the website above. Inform the director that you will be calling in a week or two to schedule a face-to-face meeting to discuss how you may work together to help veterans in need of pre-planning or immediate funeral services. Then, follow up with the phone call to schedule the appointment. At the end of the appointment, create a relationship action plan – where will you go from here? After thfe appointment, send a handwritten thank you note within three days of the meeting, noting something personal you learned about them. Most importantly, approximately 45-60 days later, review the relationship to determine if it is going anywhere. Relationship marketing requires continued communication and contact, like any other successful relationship. Lawyers with Purpose has an entire Relationship Marketing System to make this process easy and natural for its members. The Veterans Administration has now provided you with a way to kick start the introduction! Victoria L. Collier, CELA, Co-Founder Lawyers with Purpose, LLC, Author, 47 Secret Veterans’ Benefits For Seniors. Seems most of my business coaching clients are creating/experiencing some form of overwhelm lately. I want to start with stating that overwhelm is a state of mind and a way of being. It is NOT a set of circumstances. It is resistance to what is. It is NOT loving what is going on. The DISTINCT difference of how to STOP overwhelm is what you are willing to do about it and taking responsibility in it. Think about it… if you are asking your boss, the business owner, for a raise, you want to speak his language, right? You want to put it in terms that make sense to him. Well, let’s consider how he gets paid. Ultimately, he puts dollars in his pocket from getting clients to hire him. Now, to obtain this money, he doesn’t ask clients to hire him… he has to make a presentation of your company’s services and conclude it with the price it will cost the client to have these services. So, when you feel it’s time to discuss a raise, schedule a meeting and prepare a presentation. Never bring personal issues into the conversation (i.e., personal financial struggles, the cost of childcare or tuition, your divorce, etc.) Again, working in a small office can lend an aura of intimacy that sometimes just isn’t appropriate in certain conversations, like asking for a raise. It’s often hard to draw a line between “what goes” and “what doesn’t,” but you should be able to tell by instinct and by reading your boss’s personality. So, discussing personal issues with your boss depends on your relationship. However, even if you do talk about these things, they don’t belong in this discussion about a raise. You should never request or receive a raise based on personal need. You should request and receive a raise based on your value to the company. Use the formula in this chapter to present your value and get your raise. Nothing can hijack a conversation more than the wrong time or place. In an already potentially awkward conversation, eliminate distractions and disruptions that can make you lose control of the setting. Carving out quality time to present your proposal is a slippery slope. This doesn’t have to be a desperate thing. Don’t grab any 10 free minutes your boss might have. That would result in bad timing, lack of his attention, and usually a “let me think about it and get back to you” answer because there isn’t enough time to work it through together. The idea is to focus on solution rather than the problem itself. Remember, overwhelm is not a set of circumstances. It is resistance to what is. The DISTINCT difference of how to STOP overwhelm is what you are willingness to stop and restart and take responsibility. The VA has been denying Improved Pension with Aid and Attendance claims at record numbers in the past four months. Attorneys and claimants are getting frustrated beyond belief. Are you one of them? Do you know why? At our January program I discussed some of the major changes occurring at the VA today and what we expect to see in the future. It was an eye opener for attendees. All agreed that you cannot and should not practice in the area of VA benefits unless you keep a close tab on the mood and character of the VA and the changes it is making. (3) eliminating the annual eligibility review process. (3) longer application and appeals processing times. Positive changes that have been made, although the results have not yet been proven, is that the VA has added an expedited claims process for widows of veterans (currently the average wait for approval is 12 months). An expedited claims process for veterans already existed. More, now than ever, it is critical to keep your hand on the pulse of the VA. To do so, we invite you to become a member of Lawyers With Purpose, LLC and keep reading our blogs. OBRA ’93 authorized the concept of a “pooled” Special Needs Trust, separate accounts in which may be established for the sole benefit of a beneficiary with a disability. 42 U.S.C. § 1396p(d)(4)(C), and related POMS provisions, set forth the following requirements. a. A pooled Special Needs Trust must be “established and managed by a non-profit association.” POMS SI 01120.203.B.2.c defines a non-profit association as “an organization established and certified under a State nonprofit statute.” As of January 2011, tax-exempt status is no longer required of the non-profit association. b. A pooled Special Needs Trust must contain the assets of individuals who are “disabled,” as defined by 42 U.S.C. § 1382c(a)(3). c. The pooled Special Needs Trust must maintain a separate account for the sole benefit of each beneficiary with a disability, but may pool the assets of the separate accounts for purposes of investment and management. See POMS SI 01120.203.B.2.d and POMS SI 01120.203.B.2.e. e. To the extent that the pooled Special Needs Trust does not retain any amounts remaining in a separate account upon the beneficiary’s death, such assets must be used to reimburse Medicaid (but not the Social Security Administration) up to the total amount of medical assistance benefits paid on behalf of the beneficiary during his lifetime. See also POMS SI 01120.203.B.2.g. (1) POMS SI 01120.199.F.2 sets forth modified requirements for an acceptable “early termination” provision applicable to a beneficiary’s account with a pooled Special Needs Trust. The requirements described in POMS SI 01120.199.F.1 (for first-party Special Needs Trusts), need not be satisfied in the context of a pooled Special Needs Trust if the early termination provision only allows for the transfer of an account from one pooled Special Needs Trust to another. However, no funds may be retained by the first pooled Special Needs Trust if the termination of the beneficiary’s account occurs during his life rather than by virtue of his death. f. There is no express statutory limitation on the age of a beneficiary of an account with a pooled Special Needs Trust, i.e. the statute on its face permits the establishment of an account even if the beneficiary is 65 or older. However, if the beneficiary is 65 or older, many States choose to impose a penalty for the uncompensated transfer of the beneficiary’s assets to the pooled Special Needs Trust if the beneficiary wishes to qualify for Medicaid long-term care (i.e. nursing home) coverage, or for certain long-term care services rendered in the community. See 42 U.S.C. § 1396p(c)(1)(B)(i)-(ii), (c)(1)(G), (e)(1), (f), and POMS SI 01150.121.A.3. Some States take the position that an account with a pooled Special Needs Trust cannot be established for a person who is 65 years or older even if the person were willing to accept a transfer penalty. g. Separate accounts for a pooled Special Needs Trust may be established as first-party or as third-party, i.e. with reference to the source of the assets with which the account will be funded. h. Pooled Special Needs Trusts are typically governed by a “Master Trust Agreement” that applies to all of the separate accounts. A separate account is established by completing a “Joinder Agreement,” which usually does not require the involvement of an attorney (one of the most popular aspects of this option). This is also a very cost-effective option for a beneficiary who has too many assets to maintain his eligibility for means-tested government benefits, but not enough to warrant the expense of creating or maintaining a (d)(4)(A) Special Needs Trust. i. An account with a pooled Special Needs Trust is often the only option for a beneficiary who (i) has no living parents or grandparents, (ii) may be “disabled” but who is mentally competent and thus cannot qualify for a legal Guardian or Conservator, (iii) cannot convince a court to serve as the Settlor of a (d)(4)(A) Special Needs Trust, and/or (iv) is age 65 or older. On June 12, 2012, the United States Court of Appeals for the Third Circuit held that the Medicaid program administered in the Commonwealth of Pennsylvania could not impose additional criteria for the exemption of pooled Special Needs Trusts authorized by 42 U.S.C. § 1396p(d)(4)(C), over and above those criteria specifically enumerated in the statute. See Lewis v. Alexander, 685 F.3d 325 (3d Cir. 2012). Pursuant to the federal preemption doctrine, the Court struck down the following elements of a Pennsylvania statute that purported to impose additional qualification criteria over and above those set forth in the federal statute: (i) a restriction on the amount of funds in a deceased beneficiary’s account that can be retained by the pooled Special Needs Trust; (ii) a requirement that expenditures from a beneficiary’s account must be “reasonably related” to the beneficiary’s needs; (iii) a requirement that the beneficiary’s special needs could not be met without the funds in the beneficiary’s account; (iv) a definition of “special needs” that limits permissible disbursements to “items, products or services . . . related to the treatment of the beneficiary’s disability;” and (iv) a restriction limiting beneficiaries of a pooled Special Needs Trust to those under 65 years of age. The Court held that “Congress intended that special needs trusts be defined by a specific set of criteria that it set forth and no others. We base this upon Congress’ choice to provide a list of requirements to be met by special needs trusts. The venerable canon of statutory construction— expressio unius est exclusio alterius—essentially says that where a specific list is set forth, it is presumed that items not on the list have been excluded. . . . Absent an explicit statement or a clear impression that States are free to expand the list, expressio unius leads us to conclude they are not.” Id. at 347. Earlier in its decision, the Court concluded that “in determining Medicaid eligibility, States are required to exempt any trust meeting the provisions of 42 U.S.C. § 1396p(d)(4).” Id. at 344. The Third Circuit’s holding that “42 U.S.C. § 1396p(d)(4) imposes mandatory obligations upon the States” is contrary to the position of the Second Circuit in Wong v. Doar, 571 F.3d 247 (2d Cir. 2009), and the Tenth Circuit in Keith v. Rizzuto, 212 F.3d 1190 (10th Cir. 2000), which held that 42 U.S.C. § 1396p(d)(4) does not mandate that the States exempt special needs trusts meeting the statutory criteria. Id. at 343. On January 14, 2013, the United States Supreme Court denied the request by the Commonwealth of Pennsylvania to grant a writ of certiorari in the Lewis v. Alexander case, thus leaving in place the decision of the Third Circuit, and the conflict thus created with the Second and Tenth Circuits. Accordingly, the issue of whether a Medicaid program can impose additional criteria for exemption of Special Needs Trusts is ripe for a review by the United States Supreme Court. I delivered a workshop yesterday to another sell-out crowd of 60 plus year-olds. The most predominant question they wanted to know? How do I protect my assets from the government, nursing homes, lawsuits and family predators. As I presented my two hour workshop that day, I found them begin to unwind and see the many challenges they face without proper planning. Notwithstanding my education on beneficiary designated accounts, asset protection to loved ones, after that the importance of customized wills, health care proxies, powers of attorney and personal care plan, the conversations was dominated by asset protection now. As I explained the power of the IPUG, an asset protection trust that the client is allowed to maintain control and continue to derive the income from, and even benefit from without direct access to the assets, the clients’ eyes got wider. What intrigued them most was that they can stay in control and that they could change their beneficiaries if they needed to. Most of them declared they really didn’t need it, but they wanted to make sure it was available for them if they did and more importantly for their loved ones, if it was needed for them now or any time prior to the client’s death. I was intrigued to see how important this was to the client but not surprised when 90% of them signed up for a vision meeting to identify the best strategy for them to protect their assets and their family. Still perplexed like so many attorneys that are so afraid to do what is so common and so settled under the law. The last lawyer who had questions I referred to my law review article, “Irrevocable Tier Grantor Trust, The Estate Planning Landscape Has Changed”. The significance of the article is that it relies on law, not emotion and not on what other lawyers “say” but in fact what the law says. More exciting is that there is no law in contrast to these fundamental principles that a grantor can be the trustee of his own irrevocable trust even when he is the beneficiary. But for those that don’t see it, it’s okay. We have plenty of capacity to do trusts for your client as well! Hindsight is such a tricky thing. We’ve all dealt (tolerated) with the “good enough” employee. After a few weeks we start to see little hints. You find yourself explaining the same thing, over and over. Consistently talking them off the ledge when they are “overwhelmed”. They start calling in sick…when was the last time YOU took a sick day? Or the 1st flake of snow they say they can’t make it in because of fear the local weather channel is breathing into the community because the news is lacking anything of substance for the day. Or maybe the signs aren’t that blatant, there simply is just something “off”. Like a chip missing or batteries not included. But you “muscle through” or start to question yourself because maybe your unrelenting standards or expectations are too high. It is only an “X” dollar an hour employee after all. Or you really start diving deep with justifying their personal situation or feeling responsible for their livelihood. The list drones on and on. Nonetheless, when do you know your tolerating “good enough?” Let me introduce you to our star player, Marci Otts. Marci has been with LWP for 1 ½ years now. Marci experienced our baptism by fire training process that delicately includes consistently last minute changes and “emergencies.” Not long after finally truly understanding her role and goals, the head of finance quit. Marci stepped up and assumed the role of finance without an official training process. We then decided to rebrand the entire company, including the creation of a new website where 1,000’s of video, audio and word files needed to be moved in less than 1 week. Once again, Marci stepped up. In an organization of change and growth, the one thing you can depend on is constant change. And for an 8 follow through, that can be daunting! The past 90 days have been challenging for all with rebranding the company, year end, the new year, etc. Last night, I received an email from Marci that pretty much sums up the difference between good enough and a team member whom is beyond invested in the not only the future of the company but making certain they are with you until the end. So when do you know your tolerating the good enough employee? You see glimmers of the above stated email….daily. You see it within the 1st few weeks of them starting with you, and you see blatant evidence of it 12 yrs after them being with you. It really is that straightforward and simple. We just tend to complicate it by justifying how its not that bad. I have Marci’s message hanging right on my wall in my office to remind me the next time I get that feeling that so and so “may” not work out to choose the short term suffering route and move on to attract another superstar vs. good enough. Then share your goal with everyone in your firm. Let your receptionist, legal assistant, funding coordinator, associate attorney (aka - everyone in the firm) know. And begin your planning path to success on how your going to get it done, one step at a time. Have our team help you meet your goals by keeping track of your progress. It helps keep the goal on track. Another thing, have fun with it. Offer an incentive to your team to help you reach your goal. For example, give the person in the firm that gets the most people into your workshop a Starbucks or iTunes gift card. Maybe the person with the most by the end of the week gets "Free Lunch Friday!" You’d be surprised how much people want to help and it can be fun! Or another thing you can do is have a team member look through your database and pick up the phone and get your clients to opt into your newsletter to keep up with the latest and greatest in the estate planning arena to all your respective referral sources. Offer the team an incentive to come together as a group and get it done in a certain time frame and then maybe work a half day Friday once the task is complete. Another example of specific goals would be “I’m going to schedule 1 hour on my calendar every Friday afternoon to post three times to my blog next week” rather than “I’m going to start blogging.” If you just throw your goals out there without being specific and without sharing them with people who will hold you accountable, they will more than likely never happen. Be S.M.A.R.T with your goals...ALWAYS. Don’t underestimate that! Attainable and specific goals have a better success rate. When talking with our clients that have success with their marketing they typically pull their team together, share their S.M.A.R.T goals and then implement a plan of attack, thrive and succeed. They empower their team to hold them accountable, and help make things happen! Being specific and sharing helps make them do-able, they become more realistic with support and less overwhelming. The greatest success I have had since joining LWP has to be, without a doubt, establishing relationships through synergy meetings. I have bankers, financial advisors, assisted living facilities, social workers and even Medicaid Office workers referring clients to me. Granted it takes a while to get these referral sources to provide clients (have to establish trust). By no means am I a salesman, but when I explain the PROCESS!!! we use and the follow through we offer, people are very comfortable referring their clients to us. This is actually a very tough question to answer because we don’t use anything else but the LWP tools. When I say nothing else, I mean nothing else. No retainer agreements, not an interview questionnaire, not even a separate design template. If I had to pick just one tool that is my favorite it would be the Estate Plan Audit sheet. It makes it so easy for us to use the Vision Clarifier because I can show the client exactly what plans cover what is important to the client. LWP provides structure that we otherwise would not have. Its systems are purposeful and deliberate. LWP has allowed us to enroll clients, not just retain clients. 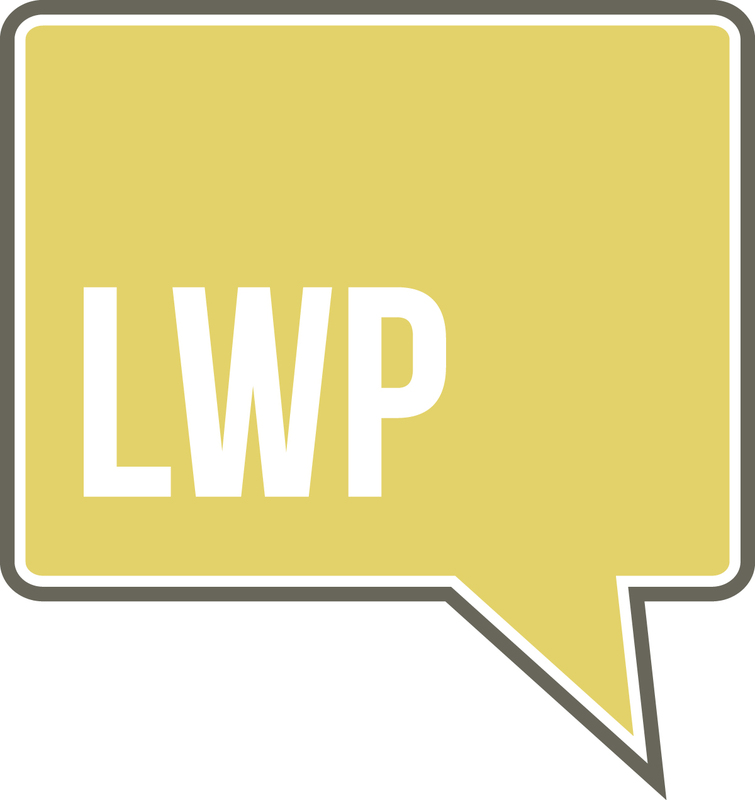 LWP also provides the tools that allow us to focus our practice, track our clients efficiently, and provide the exact product the client desires not just push the client into a trust of our choosing.